The newly designed 810/510 Drip Tip Adapter is made of advanced PEI material, which is heat-resistant. Perfectly match with most 510/810 atomizers. Just get it as a spare part. 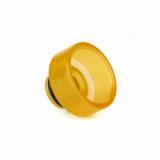 • Perfectly compatible with most atomizers with 510/810 Tanks. 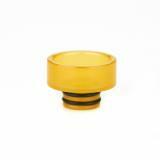 New PEI 810/510 Drip Tip Adapter 0345 is made of advanced PEI material, which is heat-resistant. Perfectly match with most 510/810 tank. Just get it as a spare part. 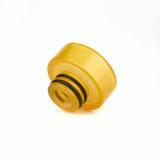 1 x New PEI 810/510 Drip Tip Adapter 0345. Product quality excellent and price was good. Does the job as intended. 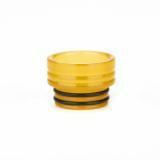 This is a great inexpensive 810 to 510 Adapter. Works perfect, double 'O Rings' ensure good seal.